Our annual holiday open house is not to be missed. Come and be inspired by our latest festive displays, décor and abundant ornaments. Save 25% on holiday décor for one day only. Spin the wheel to win prizes throughout the day. The first 25 customers of the day receive a free gift (with purchase). There is no doubt that trees are a valuable asset to our landscapes. Trees add beauty, privacy, wind protection and increase our property values. Most trees we sell are adapted to survive our harsh winters, but an additional measure of preventative care, especially with younger trees, will greatly increase survival over winter and into another successful growing season. 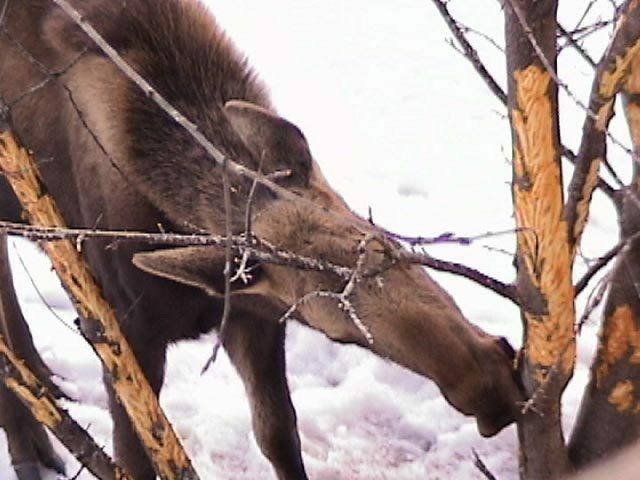 If your trees are the most tender, greenest things on the block and other food sources are scarce, it is likely that these mammals will feed on your trees. Mature trees can withstand some browsing, but younger trees can be severely damaged or killed. Ultimately, a 7 to 8 foot fence surrounding your trees will provide the best protection. If fencing is not for you, commercially made repellents such as Plantskydd™ are very effective when applied correctly. Voles can girdle and kill a tree overwinter by chewing the bark around the base of the trunk. Apples and crabapples are especially vulnerable. A rigid plastic trunk guard can be placed around the trunk to protect it. Remove the trunk guard the following spring to allow for airflow. Believe it or not, our ample snow cover in the Teton region is a great insulator from extreme temperature swings. Severe cold injury can occur late fall when we have extreme cold but no snow cover. A two or three inch layer of bark mulch will help modify the ground temperature in this case. Mulch is also very useful to retain moisture and prevent weeds from germinating. Some deciduous trees like Maples are prone to having their bark crack over winter. Cracking is caused when the trunk heats up in the sun during the day and then cools off dramatically at night. The temperature difference cause vertical, spiraling cracks down the trunk. A light weight tree wrap will help protect the trunk. Wrap trunks late fall and remove the wrap in the spring. Evergreen trees lose moisture as their needles transpire through the winter. New trees are not able to keep up with the rate of moisture loss because their root systems are not yet deep enough to uptake enough water over winter. This leads to sun burned needles. To help, ensure your evergreens go into winter WET! A thorough soaking each week will help your tree to fill up its reserves with water. Water evergreens until the snow is stuck on the ground or the ground remains frozen, usually though mid-November. An anti-desiccant like Wilt Pruf™ can be sprayed on the needles mid to late October. Wilt Pruf™ helps slow down transpiration and can make the difference between brown, crispy needles or lush green needles next spring. Our greenhouse has a full line of tree care products to help your trees survive the winter. Need some help? From spraying to fencing, our maintenance department can do this for you! Our 20th annual Fall Fest is Saturday, October 20th from 12-3. The MD tradition of free family fun for our community continues for our 20th year! 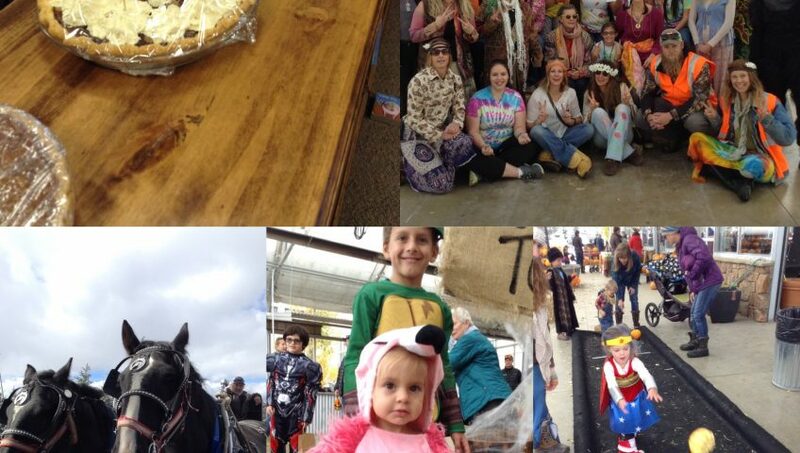 Celebrate the season with games, pumpkin painting, a photo booth, hayrides, face painting and a mini Farmer’s Market. Bakers can show off their skills in the Pumpkin Pie Bake-Off upstairs at Marigold Café. Pie judging is at 3:00. To celebrate our 20th Fall Fest, we’ll have $20 one day only specials you won’t want to miss! We’ll be accepting donations to support the Teton Valley Education Foundation at the pumpkin painting activity. Bring some cash and support this valuable community resource!